It's our first episode at the new site! This week we discuss the career of Rachel Weisz, whose back catalog wasn't as promising as we had hoped. We also discuss The Hunger Games and children at the movies, as a parent and another patron. Give it a listen and email your thoughts to reelinsight[at]gmail[dot]com. We love feedback and we love to read your feedback while casting. Our "theme" music is from Kevin MacLeod with Incompetech. Also, join the Facebook Fan Page and subscribe on iTunes to stay updated. Thanks for listening! I'm not sure how I managed to miss this film for the last decade, but it's truly a gem. 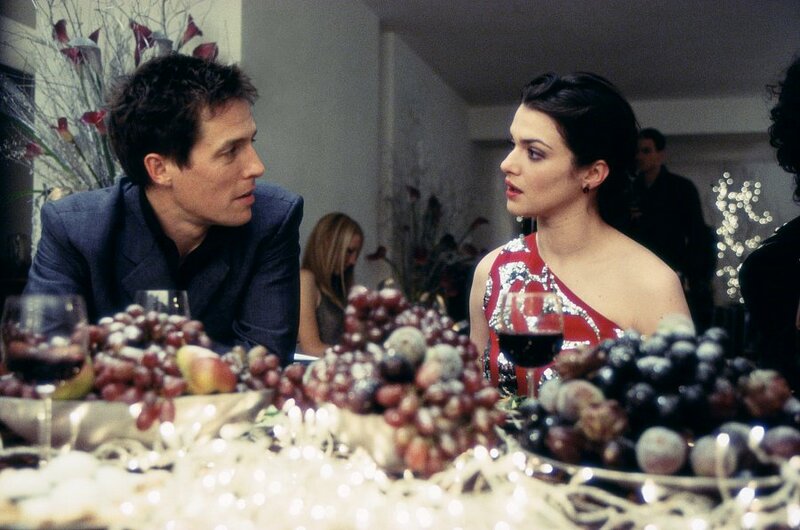 It's the story of obnoxious man-child Will (Hugh Grant), who decides to meet women at a single parents support group. In the process he meets Marcus (Nicholas Hoult), a young boy who develops a strong attachment to Will and ends up teaching Will that growing up isn't so bad. Toni Collette and Rachel Weisz round out a fantastic ensemble cast as Marcus' mother and Will's eventual girlfriend, respectively. On a separate, but totally related note, I also took part in the latest episode of The Demented Podcast, discussing fairy tale movies (Ladyhawke and MirrorMask) with Nick and Steve, as well as the latest LAMBcast discussing The Hunger Games with Dylan, Nick and Dan. You can also find them on iTunes. This lOoks like I'll have to walk/drive miles to listen to everything. Yeah, I was a bit promiscuous in the podcasting department that weekend. No wonder my house is a wreck. Far as I can recall, I've only seen 11 movies w/ Weisz (The Mummy 1 and 2, About a Boy, Eragon, Confidence, Chain Reaction, Definitely Maybe, Constantine, The Fountain, Fred Claus, The Brothers Bloom...no need to read all this! ), but she's got pretty small roles (or voice work in the case of Eragon) in at least 3 of them, so there's not much to choose from. That said, I'm much more in line with Rachel as to what's good and bad amongst those. 3. Confidence - I dig me some heist movies, and while this is no Ocean's Eleven, I think it's pretty solid. Thought Hoffman was funny as hell and this might be my favorite Ed Burns performance. Just a good fit for him. Confidence greater than The Constant Gardener? Heresy! Sadly I think my enthusiasm over Ms. Weisz was mainly on the shoulders of Gardner and The Fountain, so checking out a majority of her resume was rather disappointing. Glad to find another lover of the latter though! You read that too quickly...I've seen Constantine, but not The Constant Gardener. :) Been meaning to forever, though. Oops. Missed that. Definitely check it out when you get a chance. I think it's been on Instant for awhile now. Totally worth it.